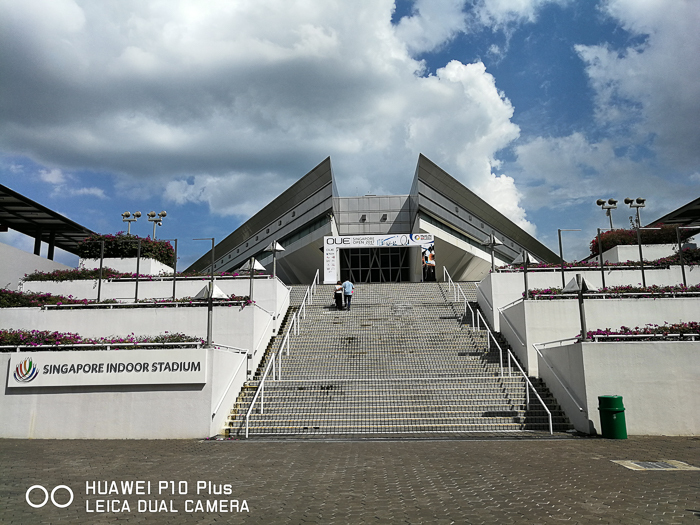 The Huawei P10 Plus sees the Chinese company partnering renowned German camera maker Leica for the second year running to put the cameras in their phones on steroids. 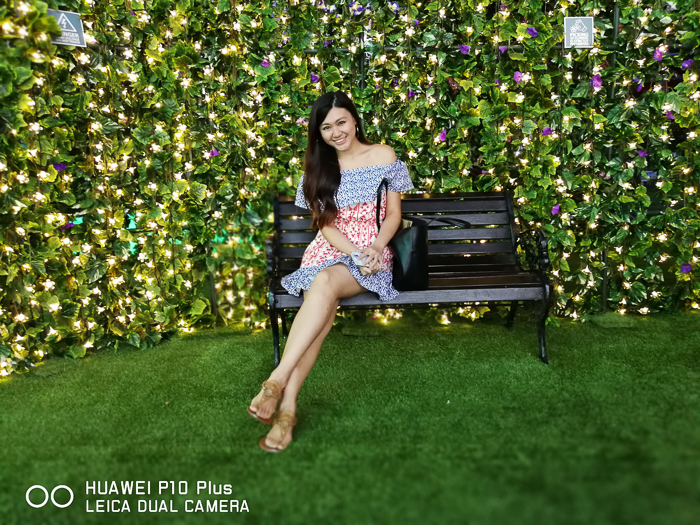 But since any half decent smartphone camera can perform well if given ample light, the true test of the flagship smartphone cameras of today truly comes when the sun sets. 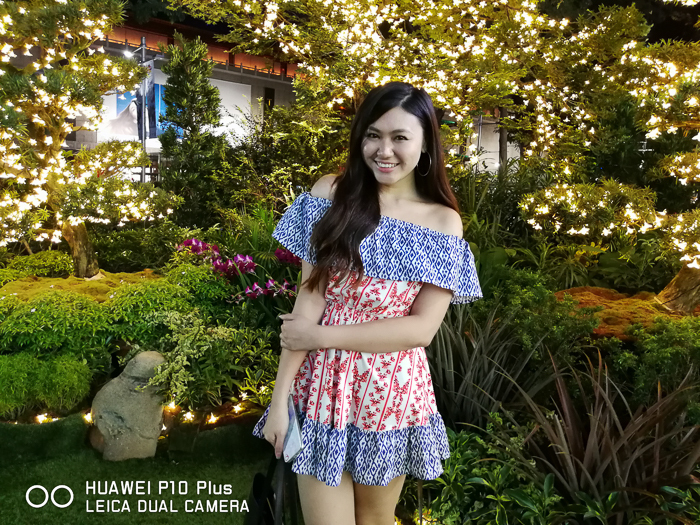 What the past few years have taught us is this – every major smartphone maker is marketing their products with the promise of unparalleled low-light performance through the use of hardware such as dual cameras, and wide apertures. Huawei is no exception. Like the P9 Plus and the Mate 9 before it, the P10 Plus also touts a Leica-branded dual camera system, backed by a wide aperture. I decided to find out how well it does after dark in a more realistic way, so for 2 weeks, I took the phone out and about in my daily life and used it like how anyone else would – on auto mode. I will not be be talking about the specs of this phone, given that a flagship by default should at least perform the usual tasks smoothly – and it did. All images henceforth are straight out of the phone without editing, only resized so they don’t burst your data with their large file sizes. Let’s start with getting the boring daylight performance out of the way. Out of the box, you can expect vibrant saturated colours greeting you with each photo. The photos that you see in this review are also taken in the “Standard” colour setting. You have the option to set it to “Vivid” for a more saturated look, or “Smooth” for something a bit more desaturated. As expected of the Leica branding, images are sharp, and detail can be seen even in the shadows. This is the closest thing you will get to an actual Leica on a smartphone without spending $10,000. The Dark Knight You Are Looking For? 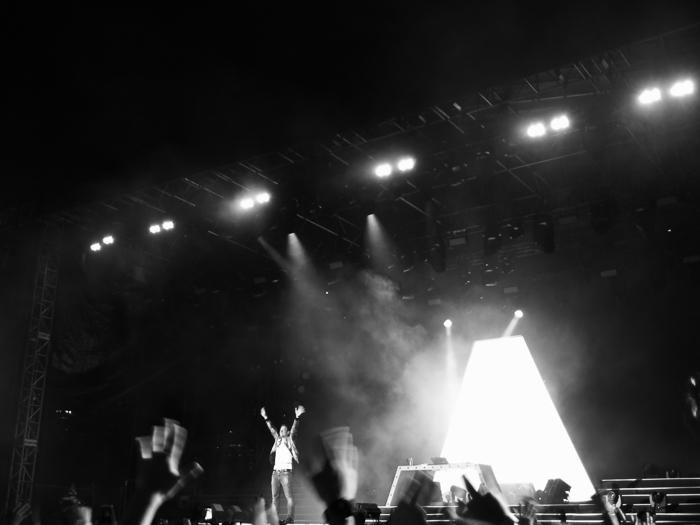 Let’s move on to what you’re here for – the low light performance. First up, I tried out the “Wide Aperture” mode on the camera while I was out with a friend at night. Here’s a picture of my said friend without that mode switched on. 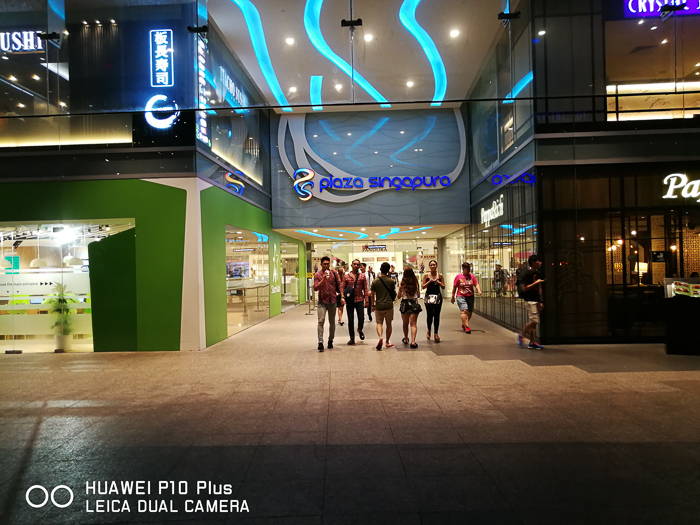 Even at night, the cameras on the Huawei P10 Plus do a good job at rendering colours accurately, balancing the different colour temperatures across the image so that the output is more or less what you see with your own eyes. This is shot at the same location but with the “Wide Aperture” mode enabled. 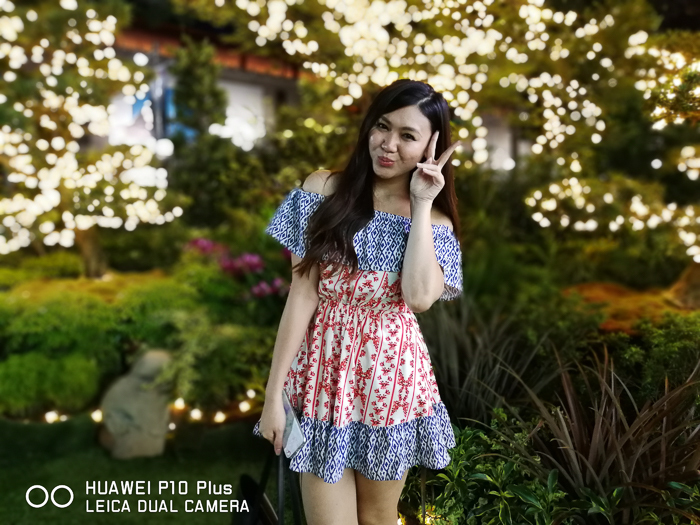 For the most part, it fared better than all other dual camera smartphones in that the background blur rendered doesn’t look like a smudged up mess. The ‘bokeh‘ balls from the lighted decorations in the scene looks partially like it came out of a DSLR camera. When using this mode, be sure to swipe the aperture slider all the way down to f/0.95 for maximum effect. 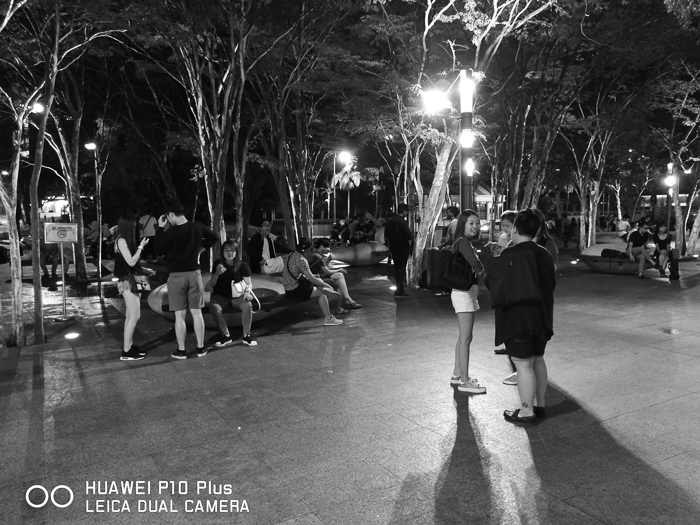 Here’s something you should know too – one of the cameras on the Huawei P10 Plus actually shoots in monochrome only. This means that you have a dedicated camera that shoots in black and white without you having to apply some filters, and it does so very well too. Remember how I said that you can see the details even in the shadows? You can thank this camera for that. The camera on the Huawei P10 Plus also features Optical Image Stabilisation. In theory, you should thus be able to take crisp, clear photos and videos in low light because of it. 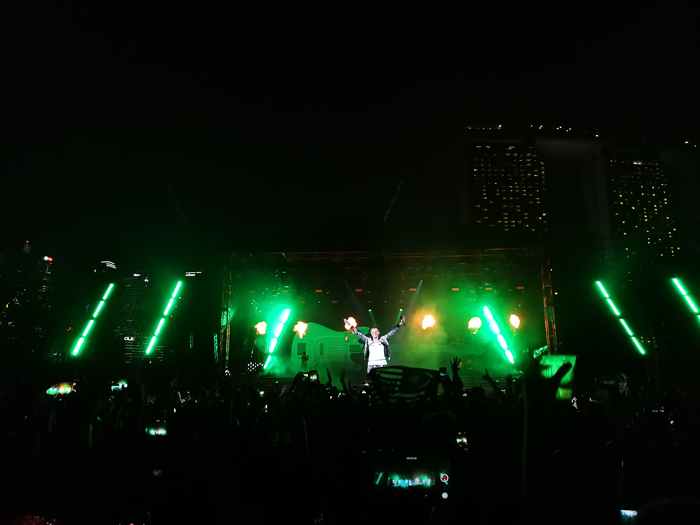 Well, what better way to test that theory than to bring the phone to a concert featuring popular DJ Armin van Buuren? 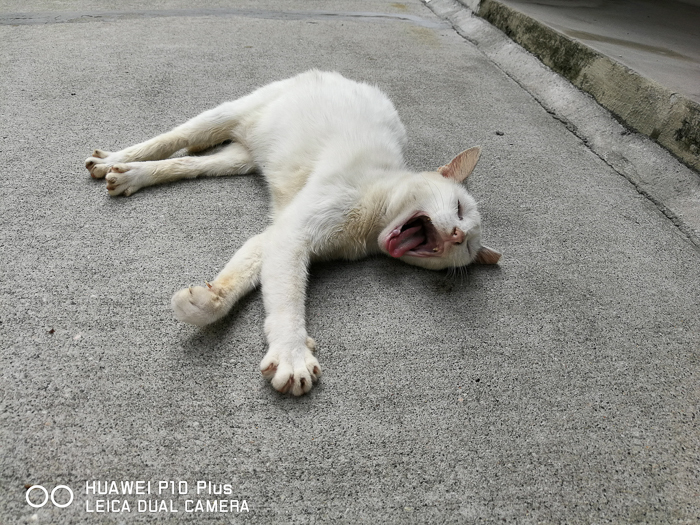 It’s the same story here – even on auto mode or in monochrome, the cameras of the Huawei P10 Plus kept up with the action most of the time. 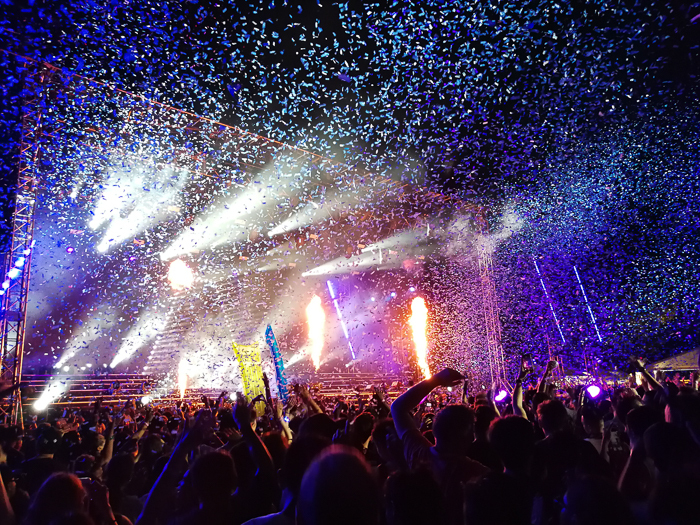 Sure I went home with some blur shots, but that’s because every smartphone has its limits, and in no way can they ever truly replace DSLRs – for now. 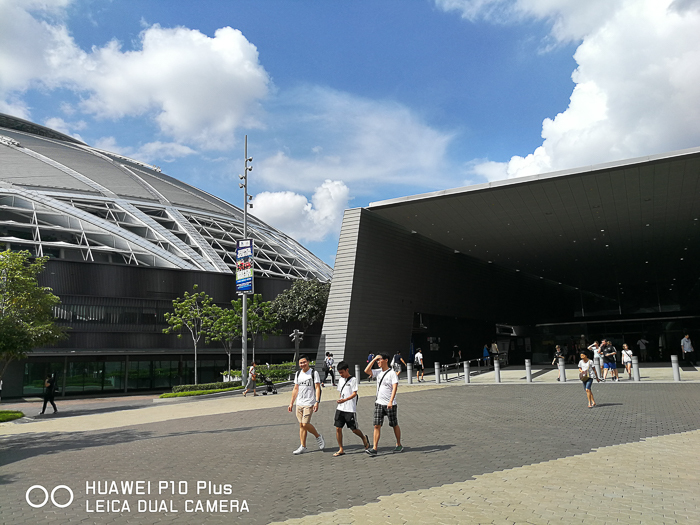 Let’s not forget the Huawei P10 Plus also records video in 4K resolution, so here are two sample videos taken during the event for good measure. This is probably the most extreme of conditions to test a phone’s video recording capability, but the results are still rather commendable given the circumstance. Rounding off the night of awesome music, I was thoroughly impressed by the Huawei P10 Plus at this point. 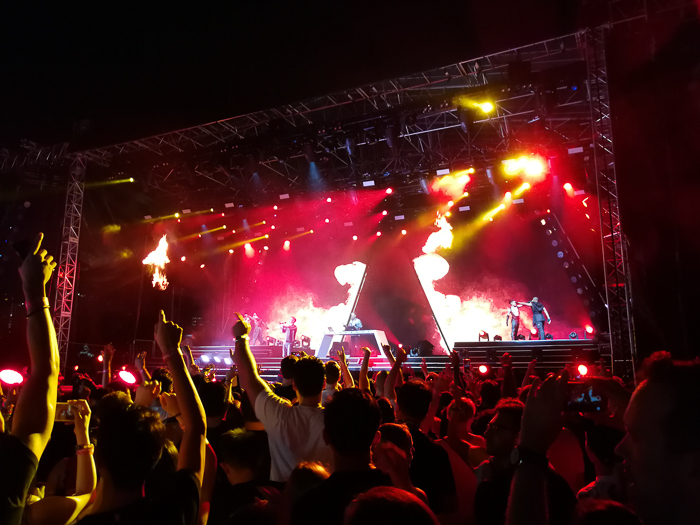 The photos and videos to come out of it are sure to level up your social media game on Facebook and Instagram with detailed and vibrant content which other brands can never hope to match. In the battle of dual camera smartphones, the Huawei P10 Plus has a direct competitor in the LG G6, which was also launched over the weekend. While not dual camera equipped, the Samsung Galaxy S8 is also looming over the horizon with its imminent launch. 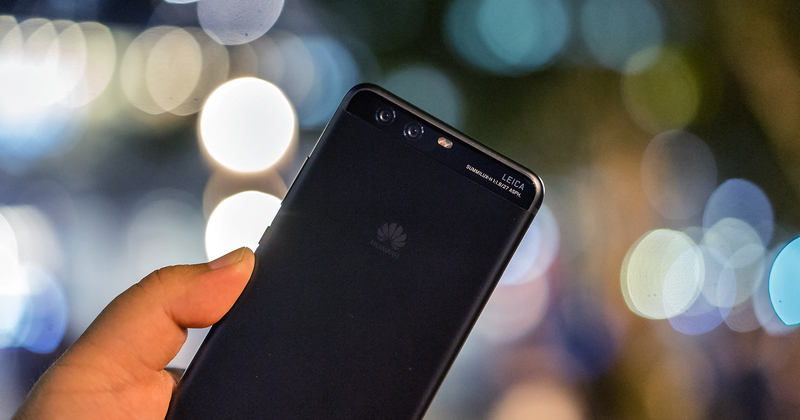 These 3 smartphones will be battling it out for users here in Singapore to become the king of Android, and truth be told, the Huawei P10 Plus has a very good chance of that. Like I’ve said earlier, this is the closest thing to a Leica that you can get in any smartphone, so if you’re currently looking for a new Android phone, this one is worth a serious consideration.